I used to work for a company that got bought very cheaply by an entepreneur, who proceeded to make a lot of changes in the company. He owned an oursourcing company in India, so much of our operations and programming went over to the Indian company. This gave the Indian company more scale, and the lower costs meant the company went from money-losing to money-making. During our money-losing phase, layoffs were continuous. But with all the oursourcing they continued. We went from about 4400 employees to less than 1500 in five years (approximate numbers based on repeatedly dumping the company phone directory). From four buildings and part of a fifth in Chicago, we are moved down to one after he sold the company. He already had a fortune, and was in his sixties. We wondered why he kept working so obviously hard. He wasn't at all a hands-off investor, but clearly knew a lot of details down in the organization. 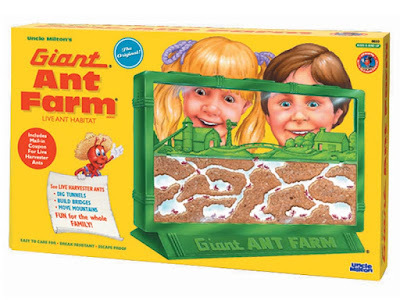 I used to explain it by saying that the company was his ant farm. How was the company like an ant farm? couldn't resist taking a magnifying glass to some of the ants and burning them (layoffs). when he got bored, it would be like taking a stick and stirring up the ant farm (reorganizing, with again more layoff casualties). eventually got tired of us and got rid of us (sold us off). Now, the entepreneur saved the company, which was losing so much money we would probably have disappeared. And despite feeling that every year would be the year I would finally get laid off, my career actually did quite well during his ownership. It's a fair question to ask what "saved the company" means. Saved for whom? Almost all the employees are different. We're in mostly different physical locations. Our customers could have bought our services for others. A corporation is really not a person, and has no feelings. As for the entepreneur, he made enough money to make it back on the Forbes 400 list by selling the outsourcing firm (now with larger scale) and selling us. The new owners are bloodless guys from the east coast. Unlike the entepreneur who got involved in as many aspects of the business as he could, they seem to have little interest in what we actually do. I met the entepreneur a number of times in meetings, sometimes one on one. I've only seen the news guys from the back of the auditorium on rare occasions (and that usually by audio or videoconference). It's hard for me to believe I feel nostalgic for the crazy, disruptive years of the entepreneur's reign, when he said that in five years the jobs of everyone who wasn't having direct contact with clients would have their job outsourced. (I didn't have direct contact.) But I miss the raw energy, the joy of creation that he embodied.